The Topcon CL-200 computerised lensmeter combines innovative technology with ease-of-use. It features progressive lens measurement, a large colour LCD monitor, and a new green light reading beam that enhances measurement precision. Due to the green light reading beam, ABBE compensation is no longer required. All types of lenses, including progressive lenses can easily be measured. 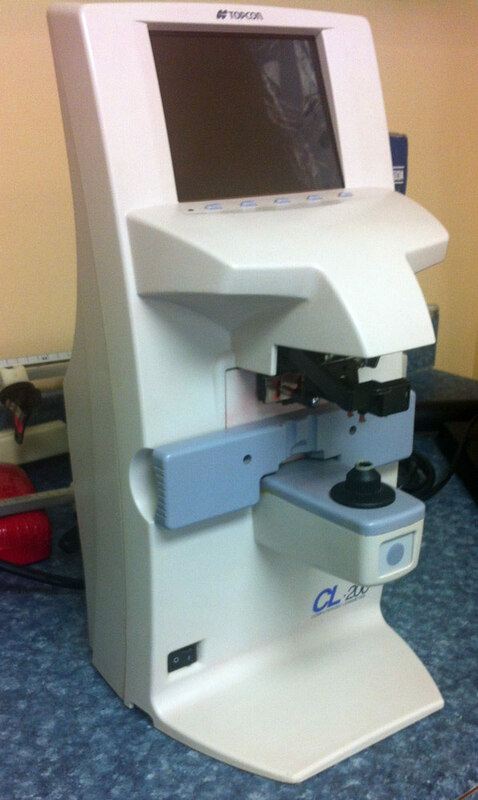 Contact lenses can easily and comfortably be measured using the CL-200P as well.